ExoClick, the innovative ad company, provides two channels for advertisers and publishers: An Ad Exchange and an Ad Network. Our Ad Exchange enables publishers to monetize their traffic not only with ExoClick’s ad network, but also with other ad networks and DSPs. Currently ExoClick’s ad exchange already has over 30 partners plugged in and the company is adding more demand platforms each day. Our Ad Network is ranked the 4th largest ad network in the world by W3Techs, serving 7 billion geo-targeted ads a day, to a global network of 65,000 web/mobile publisher platforms. ExoClick’s proprietary software offers 20+ different ad formats, optimized targeting and behavioural retargeting, access to big data statistics and strategic analysis tools to further improve ROI, data refresh every 60 seconds, day parting and 24/7 customer service. Our platform API allows developers to create their own bespoke software add-ons for programmatic processes on our platform. 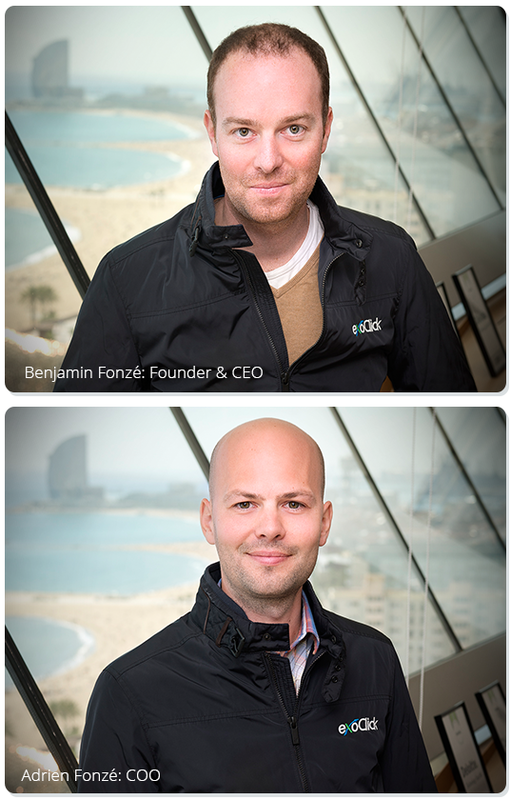 ExoClick was founded by current CEO Benjamin Fonzé, and he runs the company with his brother Adrien who is COO. Where people and creativity drive innovative technology. We protect our client’s interests and deliver on our promises… No excuses. Our vision is changing the industry. Our multi-cultural diversity is our strength. Passionate about business because we love what we do. Open minded-people, open platform, open communication.